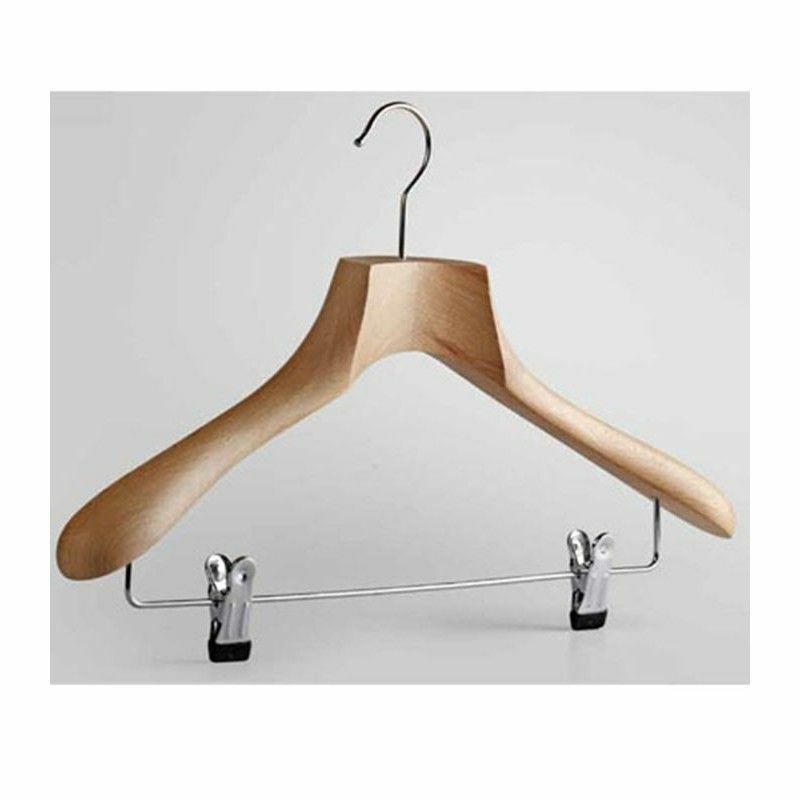 Mannequins Online offers these robust, noble and natural beech wood hangers. They are great value for your clothes. In the shops of ready-to-wear classic or high-end, they are used in any type of shop. With its notches, you can suspend complete outfits (top and bottom). At Mannequins Online, we provide any type of hanger to hang your clothing collections to your layout systems. wooden hanger beech and natural color. The size of the arch is 44 cm. These hangers are sold in packs of 50 hangers.